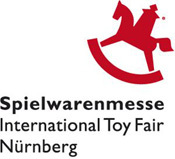 This year’s Nuremberg Toy Fair was an interesting show with many of the manufacturers focusing on technical and digital innovations in addition to the usual announcements of new model tooling (and of course the seemingly endless repaints and versions of existing models!). This focus on innovation combined with the industry-wide budget tightening of the last few years has meant we are seeing slightly fewer (and to some, less exciting) completely new models. That does not mean there are not some exciting models to report on though! From Fleischmann’s all-new scale-length BR407 ICE set and Marklin’s new Scandinavian heavy ore locomotives and Swiss Crocodiles, to Minitrix’s V100 with digital sound (in N-scale!! ), there are still many highlights to report. This installment will cover Roco and Fleischmann’s new item programs as announced at this year’s fair. Don’t forget our annual pre-order discount program for Roco/Fleischmann 2013 New Items ends Sunday March 17th! In most cases our prices for these items will NEVER be lower than the pre-order pricing offered so take advantage of pre-ordering to make the most of your hobby dollar with Euro Rail Hobbies & More. And as always, we never charge your credit card until the products actually ship from our store! Roco had the most extensive line up of new models at the Toy Fair with new releases covering the whole of Europe in addition to the usual German prototypes. Their program featured several examples of completely new tooling for both locomotives and rolling stock prototypes and many updates and partial new tooling for variants. Of course not all new items can be completely new models and many new items are new versions and new liveries for existing prototypes. This is great because if one exercises patience, eventually you can complete your train consists, whether it is passenger or freight or locomotive, they will eventually be produced. 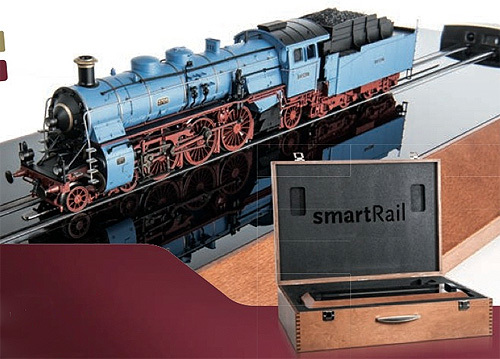 Probably the most exciting new announcement for both Roco and Fleischmann was their new “smartRail” digital locomotive display stands, featuring not only built-in Z21 Digital Technology (with WI-FI) but also optical sensors at each end of the display for accurately centering your locomotive. Rather then normal rollers to allow for stationary running of your locomotives, the SmartRail features rotating metal cables that allow the full motion of the locomotive as if it was on track while it is running in a stationary position (think of a locomotive treadmill!!). This highly sophisticated stand is built of high-quality wood covered by a black high gloss shield where LED touch-sensitive function buttons light up to display the various running options. You can run your trains from the stand on its own or access more functions through the Z21 app for your iPhone or tablet for more functions. The entire package comes in a large wooden case housing the display stand, stand cover, locomotive and a Preiser figure. This is a wonderful and highly attractive display to have on one’s desk or even to bring your hobby to the living room! And for all those collectors who do not have layouts, now you have the capability to see your locomotives run from time to time. The system automatically recognizes the decoder type and works for DCC and Marklin AC Digital. 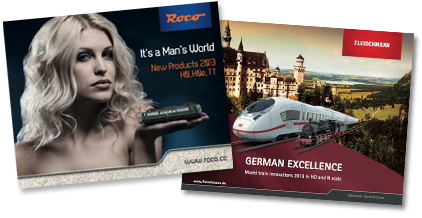 Roco is offering smartRail Packages with the Austrian Rh16/310.23, the German BR10 (with dynamic steam/sound!) and the Swedish Dm Heavy Ore Electric locomotive. Most are available in DC and AC versions. See our web site for the full list of available smartRail packages. In terms of locomotive new tooling, both complete locomotives and updates to older models, there is an extensive array of new HO scale tooling from Roco. One of the most exciting highlights for 2013 is the new Swiss SBB Beilhack self-propelled Rotary Snow Blower Roco #72800 for DCC and 78800 for Marklin AC. The prototype works the famous Gotthard line. Fully digital with extensive sound effects and lighting, the model features a fully rotating body and turning blower blades that raise and lower. Wow! This will be a model that every Swiss railway fan will need on their layout and would be a highlight of any layout! Austrian OBB series 38 Steam Locomotive, Era III with extended driver’s cab roof, lockers, etc. This model is offered in DC under # 72120; DCC with Sound # 72121 and for Marklin users, AC Digital w/Sound # 78121. OBB series 2143 Diesel Locomotive. This model is offered in DC under # 72712; DCC with Sound # 727131 and for Marklin users, AC Digital w/Sound # 78713. Hungarian MAV BR 109.109 Museum Steam Locomotive VI. This model is offered in DC under # 72116; DCC with Sound # 72117. DBAG BR151 Era V - All new w. sound! German – DB-AG IV BR 151 Electric Locomotive. This model is offered in DC under # 73400; DCC with Sound # 73401 and for Marklin users, AC Digital w/Sound # 79401. German BR 218 Era IV Diesel Locomotive. This model is offered in DC under # 72758; DCC with Sound # 72759 and for Marklin users, AC Digital w/Sound # 78759. French SNCF CC 6500 Electric Locomotive. This model is offered in DC under # 72615; DCC with Sound # 72616 and for Marklin users, AC Digital w/Sound # 78616. French SNCF CC 6500 Electric Locomotive. This model is offered in DC under # 72617; DCC with Sound # 72618 and for Marklin users, AC Digital w/Sound # 78618. 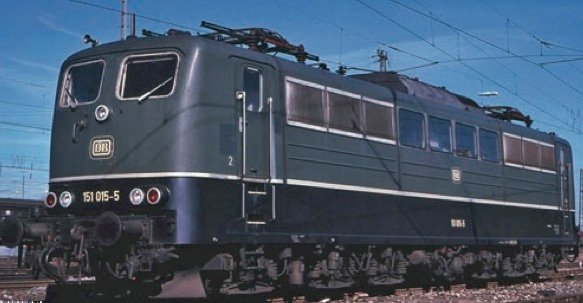 Italian FS Era III-IV Electric Locomotive. This model is offered in DC under # 72324; DCC with Sound # 72325. Norwegian NSB series E112, Era III-IV, Electric Locomotive. This model is offered in DC under # 72527; DCC with Sound # 72528 and for Marklin users, AC Digital w/Sound # 78528. Swedish dm, SJ Electric Locomotive. This model is offered in DC under # 72525; DCC with Sound # 72526 and for Marklin users, AC Digital w/Sound # 78526. These can have the Ore Car sets # 67062 and 67054 added. Slovenian State Railway SZ Museum Steam Locomotive Era VI. This model is offered in DC under # 72118; DCC with Sound # 72119. SZ Class 353 Electric - all new! Slovenian State Railway Class 363 SZ Electric Locomotive Era V. This model is offered in DC under # 72623; DCC with Sound # 72624. Czechoslovakian CSD Era IV 770 Diesel Locomotive. This model is offered in DC under # 72781; DCC with Sound # 72782 and for Marklin users, AC Digital w/Sound # 78782. Czechoslovakian CSD Era V 770 Diesel Locomotive. This model is offered in DC under # 72775; DCC with Sound # 72776 and for Marklin users, AC Digital w/Sound # 78776. Czechoslovakian CSD Era VI 751 Diesel Locomotive. This model is offered in DC under # 72926; DCC with Sound # 72927. Polish S250 of the PTK-Rybnik Diesel Locomotive. This model is offered in DC under # 72783; DCC with Sound # 72784. Russian SZD Chme3 Era IV Diesel Locomotive. This model is offered in DC under # 72785; DCC with Sound # 72786. Russian ZSR/ZSSK 770 Era IV Diesel Locomotive. This model is offered in DC under # 72779; DCC with Sound # 72780. 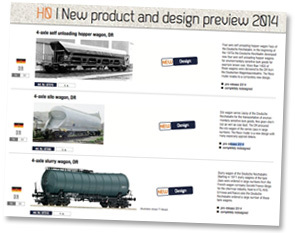 In terms of freight car new tooling from Roco, there are a few highlights to note.. Private Era V-VI Double Pocket wagon set # 67393. DSB Private Era V-VI Double Pocket wagon set # 67387. Norwegian AAE Era V-VI Double Pocket wagon set # 67394. Swedish SJ VI Double Pocket wagon set # 67389. 100 Year Anniversary of BLS features an Era V Ae 4/4 Electric Locomotive and 4 piece passenger set. The DC Version is available under # 61425 and for Marklin users under # 61426. In HOe, an Austrian Rh 399.06 # 33265 comes with raised brass locomotive plates and boiler rings. New Lamp version and comes in a special case. If you want to get started with a Z21 Digital system and do not have any trains yet, why not start off with a very economical Starter Set # 41502;41503;41504; 41505;41507; and 41508. Lots of choice there! As usual, Fleischmann brought smaller range of new products to the Toy Fair in comparison to the vast number of announcements from Roco. But that does not mean there are not any new exciting models! Fleischmann always something to grab your attention and their annual one time issues always sell out often well before their release date. Fleischmann’s highlight of the year is the all-new DB Era VI, BR 407 ICE. This comes in a 4 Piece Set in full scale length. This model is offered in DC under # 448001; DCC with Sound # 448071 and for Marklin users, AC Digital w/Sound # 398071 and for AC only # 398001. There are two supplemental 2 piece Coach Sets for the new ICE. The first set is found under; DC # 448101; DCC w/Sound # 488181; and for Marklin users, AC Digital w/Sound # 388181 and for AC only # 388101. The second set is under; DC # 448201; DCC w/Sound # 488281; and for Marklin users, AC Digital w/Sound # 388281 and for AC only # 388201. DRG Era II BR E60 Electric Locomotive. This model is offered in DC under # 436001; DCC with Sound # 436071 and for Marklin users, AC Digital w/Sound # 396071. DB Era III BR E60 Electric Locomotive. This model is offered in DC under # 436002; DCC with Sound # 436072 and for Marklin users, AC Digital w/Sound # 396072. DB Era III BR 141 Electric Locomotive. This model is offered in DC under # 432801; DCC with Sound # 432871 and for Marklin users, AC Digital w/Sound # 392871. DB-AG Era V BR 141 Electric Locomotive. This model is offered in DC under # 432501; DCC with Sound # 432571 and for Marklin users, AC Digital w/Sound # 392571. Bavarian Omm[u] Set - New Tooling! DRG, Era II, 2 axle gondola, #590105. Era I KPEV 3 Piece WWI Hospital car set # 581305. 581305 Prussian Railway Hospital Train - Limited Edition! DRG, Era II, 2 axle Tank Wagon, #545507. Comes with Sliding doors and Wine Tank. Similar models are 545506 and 545504. This year Fleischmann’s N-scale program sees more innovations and features from larger scales being added to the smaller scale program. Fleischmann has fit digital sound decoders into more N-scale locomotives and added features such as NEM decoder sockets in locomotives, flickering fireboxes in steam locomotives, and updated many passenger and freight cars with close coupling coupler pockets for added realism. Locomotives # 781383 (Prussian G8) and 781384 (DB Class 55) come with DCC decoder but also a Built in Flickering Firebox! 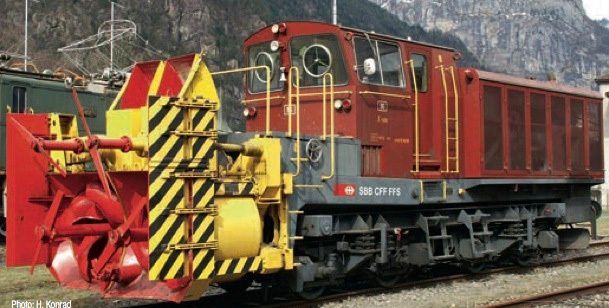 OBB BR 52 with Tub Tender and Witte Smoke Deflectors. Offered in DC #715207 and DCC w/Sound # 715277. Exclusive Numbered Editions BR 111 066-7 "Bavarian" Livery DB-AG Electric Locomotive DC Version # 781302; DCC w/Sound # 781382. Exclusive Numbered Editions BR 111 024-6 "ADAC" Livery DB-AG Electric Locomotive DC Version # 781301; DCC w/Sound # 781381. Stay Tuned for Part II and III of our New Items Highlights! !